Finding new clients is a never-ending part of event planning. You need to reach out to prospects while juggling the work you’re doing on events that are already booked in your calendar. And you need to stand out from the competition. 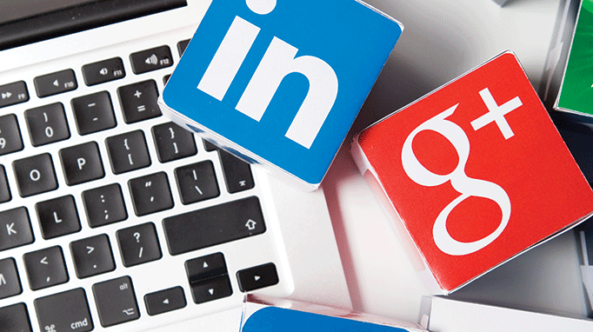 How can you attract potential clients in a creative way? Try these five tips. People want more than a traditional event. They want experiences and a story they can share with friends and family (mostly via social media). Can you offer experiences as part of your events? Think about combining your events with classes, paint nights, demonstrations, special food or cocktail tastings, or fitness activities. Take a look at popular trends such as beer yoga, cooking classes, and escape rooms, and see what would fit best with your ideal clients. 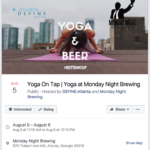 Monday Night Brewing has figured out how to mix workouts and cocktails. Their Facebook calendar includes beer yoga, 5K and 10K races, and more. There’s a reason people hire you to run their events: You are an expert at what you do. Show off your expertise by creating a blog, or using email or social media to share tips, advice and your perspective on news or trends in the industry. It’s OK to give away a few of your secrets, because prospective clients will appreciate the information and they’ll begin to recognize you as an expert. Also, search engines will find the information you’re sharing online, and index it. When people search for someone who is an expert on the topics you write about, your business is more likely to appear in that search. Buca di Beppo Italian Restaurant does a great job demonstrating expertise on their blog, where they write about seasonal event needs, special deals and the history of quirky food holidays, such as National Ice Cream Day. Speaking of blogs, consider about reaching out to the popular bloggers in your community to spread the word about what you do. Think about it: Bloggers that write about weddings, food, travel or what’s happening in their town would be interested in your services and could introduce your business to their audiences. Do a search for bloggers in your area that write about those topics, and then hold a small event for them to show an example of what you offer in exchange for a mention on their blog and social media. Bostonia Public House welcomes bloggers and is a favorite of local bloggers who write about food and lifestyle topics. When they’re mentioned, they share a link to the blog post on Facebook and thank the blogger for their write-up. Volunteering to help nonprofits with events is a win-win. You help people in need and show that you are invested in your community. And you’ll meet a lot of people during the process of organizing the event and at the event itself. You’ll be on their minds when they are looking for an event planner. Le Pain Quotidien recently partnered with the American Red Cross and donated a portion of their proceeds to Hurricane Harvey relief efforts in Texas. If you’re using social media, you may have noticed that more businesses are taking advantage of new live-streaming tools. Because it works. Social media users watch live videos three times longer than prerecorded videos. They’re also 1.7 times more likely to buy the product or services mentioned in the video. Use the livestreaming tools on Facebook, Instagram, Twitter, LinkedIn and YouTube to promote your business. You can show off what’s happening before or during an event, have a Q&A session or offer helpful tips. Fleetwood’s on Front Street, owned by Fleetwood Mac drummer Mick Fleetwood, regularly shares Facebook Live live streams behind the scenes or from the stage of its musical events. When Questlove of The Roots played live at Fleetwood’s, the restaurant shared a live video that got a lot of positive comments from customers. Trying one of these strategies will go a long way in spreading word of mouth about your name, reputation and event planning expertise. Decide what works best for your business, and you’ll be booking more clients in no time. Jonathan Morse is the CEO and founder of Tripleseat, a web application for restaurants, hotels and unique venues, chosen by more than 35,000 event managers and restaurant owners. 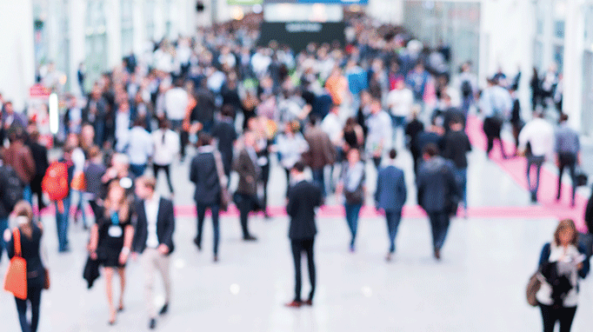 Tripleseat helps these businesses increase their event bookings and streamlines the planning process. Morse has been involved in the restaurant and hotel business for more than 30 years, with roles ranging from a busboy at Abadessa’s in Hingham, Massachusetts, to line cook at Atlantic Cafe in Nantucket, to floor manager at Backbay Restaurant Group, to New England regional sales manager for Starwood Hotels. Before starting Tripleseat, Jonathan was a vice president of sales for a web startup that delivered business intelligence reporting to the restaurant industry.